Do you have fruit trees on your property? Do you have more fruit than you can pick? Or do you just need help? Do you want to share your bounty with those in need? Village Harvest is a non-profit out of Davis, California. 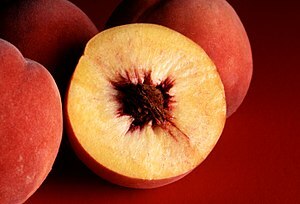 The organization harvests fruit trees in people’s yards, picking fruit that would otherwise rot on the ground and go to waste or helping homeowners that just cannot pick the fruit due to injury, illness, age and would like to see the fruit go to people that may otherwise go to bed hungry. The fruit is donated to food banks and goes to feed local individuals and families. One of the best things about living in California is the abundance of fresh fruit and fresh produce and the length of our growing seasons. For lunch I had a big bowl of red grapes, strawberries and watermelon all grown in California and picked fresh. I added fresh pineapple to the mix but that probably came from Hawaii. And for breakfast I had an apple turnover purchased yesterday at Apple Hill. The apples were probably picked and ready for the baked goodies in just the past few days. So in California we stretched the spring/summer strawberry season across the mid/late summer watermelon season and mixed it with the summer/fall grape season and just added in the fall apple season. Cool!! And very good for me because fresh fruit is my favorite thing. Fresh California produce is important for me too. Last night I made boneless country-style pork spare ribs and added fresh asparagus tips and fresh corn on the cob, both grown locally. Unfortunately the local season for white corn is over so I had to use plain old sweet yellow corn. The potatoes probably came from Idaho but we do grow potatoes locally, especially the small red and yellow potatoes which are my favorites. I know all of you live in some really great places, but I don’t know what I would do if I did not live in California with all of our fruit and produce choices. It makes most of our restaurant choices so much better too. I used to have a Japanese girlfriend who had relatives in Hawaii, Las Vegas, New York City and Japan. Every time someone came to visit us we would have to go out on buying trips to local farm stands and farmers markets and buy fruit fruit fruit and some produce. They would just stuff themselves while they were here and then they would pack up their favorites and take it all home to share with folks back where they had come from. It amazed me. But if I lived elsewhere and visited California I would fill up a few boxes with fruit and ship it all back home! I’m not as good as some of my friends who have produce gardens and fruit trees and can a lot of what they grow. 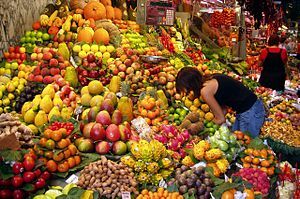 But, I am spoiled because here we always have fresh fruit in our stores and as long as you know which stores carry the best and freshest fruit & produce you are good to go. If it is September it must be time to make the annual trip to Apple Hill in the Sierra Nevada foothills close to the nice town of Camino, near Placerville, California. Camino was originally called Seven Mile House. Well, my first apple pie from Apple Hill this season. The pie was from Larsen’s Apple Barn (see below) a really good ranch on the Hill. Bought some apple turnovers as well, might have one for lunch. The pie was good but my mouth was expecting “great”, so I guess I have to go back and get another one! I can try one from each ranch. Good idea. Anyway, a little whipped cream and had a very good dessert. Apple Hill, Camino and Placerville are located in one of the nicest areas in the beautiful Sierra Nevada foothills , just below the snow-line. The Apple Hill Growers Association started many years ago as a fledgling association of 16 apple growing ranches. Today the association has more than 50 ranches and includes Christmas tree farms, a micro-brewery, wineries, spas and vineyards. The ranches grow and sell fresh fruit (in addition to the apples) and produce. Some of the farms are “pick your own”, while others have picked their goods for you. There is a nice shuttle-bus service that runs thru the Apple Hill area if you want to save some gas and would rather not drive. The shuttle runs each weekend during the month of October. Personally, I find the drive to be half the fun! Many ranches have other attractions like petting zoos, craft fairs, railroad rides, pony rides, pumpkin patches and a lot of fun things for kids. Other ranches have on-site restaurants and some have displays of antique farming and ranching items. There is a golf resort and Red Hawk Casino is just up the road. The nice little town of Camino with a population of about 1,700, has a lumber company, general store, restaurant and hotel. The Camino Hotel, A Bed & Breakfast Inn has a nice little website and is in an old Victorian era house. Their rates are fair and include a nice breakfast. Make sure you spend part of your day in the town of Camino. Do I call it Placerville or Hangtown? Placerville is larger than Camino and is growing now. Placerville is an original old west gold rush town. You will find hotels, motels, restaurants, (with the original ‘Hangtown Fry’ and shopping in addition to gold rush sites and museums. Here is a Hangtown Fry recipe for the adventurous. Downtown has an authentic 1849/1850 feel. The real deal, definitely. Placerville was originally named Old Dry Diggings, Dry Diggings and (most famously or infamously) Hangtown. Placerville was aptly named Hangtown in 1849 when robbers were hanged during the height of our gold rush. You can find the original “hanging tree” stump in the basement of a bar on Main Street. It’s actually called The Hangman’s Tree Saloon. The buildings housing the old Hangman’s Bar has been empty for about a year. Te buildings have now been sold to a local couple who promise to restore the unreinforced brick buildings wich date back to 1853. There have been at least 2 recent attempts to demolish the buildings and the “Hanging Man”. The new owners will keep both on Placerville’s Main Street, where tey should remain for generations to come. Read more at te link above. 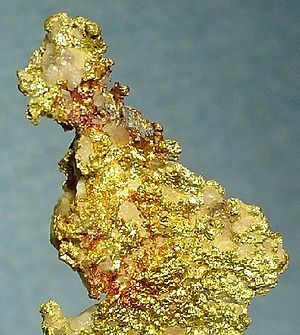 Placerville also has the Gold Bug Mine, a classic California hard-rock gold mine. You can visit the mine and even enter it. Great place for kids and history buffs. Check out the Hangtown Grill, home of the Tri-tip BLT. As you pass thru town on Highway 50 you will see the old hanging tree with a stuffed peep swinging in the breeze. And speaking of Hangtown…check out this cool neon. Look familiar??? Yes, the motel sign appears in the Dodge Journey SUV commercial “We left it here. If you can find it, you can have it”. Personally, I would rather have the apple pie. Here’s that commercial. But, first understand…..that Dodge has already been found! But watch for the Hangtown Motel sdign. It’s cool! But the next 2 commercials start later in the month, so find that truck!! A lot of the ranches now have on-line stores for you out of the area shoppers. Make sure you check them out. What about some Maps and stuff? A map showing the Placerville/Camino area is located here. A map of the Apple Hill area and reviews on Yelp are here. Check out the Apple Hill Drive site for a lot of information on ranches. Apple Hill growers host a lot of events as well, even during the off-season starting with the Apple Blossom Festival each April and the 32nd Annual Apple Hill Harvest Run in November. A list of events is here. 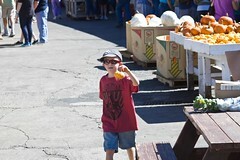 A little video/slideshow of Apple Hill is here. They divide the ranches up by west & east. A map for the western ranches is here. The map for the eastern ranches is here. Here are the grower guides for all the various products showing varieties and picking seasons. This link takes you to a really cool Interactive Map. Each apple links to a “where to stop” ranch on the hill. Click away to your hearts desire. It used to be that an Apple Hill map was a small almost hand drawn affair. Now the list of ranches and area covered is much larger and more complicated. This map is a good way to go online and then when you get to the Hill pick up one of the Association maps, a fold-out affair with the map, names of ranches, listing of their products and some other good info. But too big to put online even in a west/east type of affair. And how about some eats and grub? I try to make it to Apple Hill at least once a year. I am a sucker for the apple pies, apple cider donuts, apple fritters…yum yum. I’m getting hungry. And one ranch makes killer charcoal grilled burgers and chicken. Here is a list of growers that serve lunch and some of their specialties. Click on the name of the Ranch for more information or their website for those that have one. Abel’s Apple Acres a large ranch with a ton of products including an on-line store with apple butter and killer terriaki. Boa Vista Orchards As you come off Highway 50 (heading toward Lake Tahoe) this is the first large ranch and always one of my favorite stops. I love their pies and baked goods. They even sell apple wood for your BBQ pit. Nice!! The other non-apple item I love and even buy online during the summer is their Vidalia Onion Dressing for salads. I also use it as a marinade for chicken on the grill. Denver Dan’s One of the oldest ranches on the hill, established in 1962. Jams & jellies and a gift store in addition to apples and baked goods. They do “you pick” apples as well. Fun for the kids. El Dorado Orchards The site of the very first Apple Hill Smorgy Days in the early 1960s, the precursor to what has become the Apple Hill association. El Dorado is the home of “the Apple Ridge Express Train carries many happy children, school groups and adults in the fall season”. This farm is also the starting line and finish for the annual Apple Hill Blossom Trail Run held during the April apple blossom period. No on-line store, but do not miss this one when you go. Kids, Inc I like this ranch a lot. “It’s a great story. 30 years ago when Edio and Joan Delfino began ranch marketing, they told their children that they could name the ranch. There were seven children and they sat down after dinner one night and thought up a few names–“Farm Kids”, “Little Safeway”, “Kids Incorporated“, and others less memorable. They took the final vote and “Kids Inc.” got the most votes… “Kids Incorporated” became the name of the apple ranch not because the ranch was for kids but because kids worked on the ranch. Larsen Apple Barn One of my favorites because this is one of the oldest continuously operated family apple ranches on the hill. Established in 1860 and still growing and selling their apples. It has been there so long they sit on a road called Larsen Road. Their bake shop is “home of the original apple turnover on the hill” specializing in the Cream Cheese Apple Pie, cookies, apple butter, jellies and other delights”. No online shopping so make it one of your stops!! Para Vi Vineyards What, no apple pie?? Wine, wine, wine. The hill is a perfect spot for growing wine grapes and there are now a number of great wineries. Para Vi is one I stop at. A single bottle of Para Vi 2004 Estate Zinfandel Sold for $1,300.00 at the El Dorado Art & Wine Festival auction! Must be good wine. I can’t list all the ranches, wineries and spas so I will stop with those few. Like I said, you can’t miss at any of the Apple Hill ranches. In fact, stop at all 50 sites!! I love the Placerville area and Apple Hill. Don’t miss it, but if you can’t make it check the growers site and individual ranches websites for some great on-line shopping. Lots of Apple Treats here. The Association map has recipes as well and most of the ranches share at least some of their recipes (some are held secret! ), so make sure you ask. How do you get to Apple Hill?? From Sacramento: Take Hwy 50, 42 miles East to the town of Placerville. Go past the third signal on Highway 50 in Placerville and go two more exits to the Schnell School Road exit. Turn left at the bottom of the off ramp and go uphill on Schnell School Road to the stop sign at Carson Road. Stay on Carson Road and pick up a growers map at any of the Apple Hill ranches. The map is great, listing all the ranches and their products, hours of operation etc. Besides that old Hangtown Motel (I hear it is a bit run down) there are a number of nice places near Apple Hill. A Placerville hotel with “historical ambiance and modern amenities”. Mark Twain, Elvis Presley and Billy The Kid have stayed at this place. In downtown Placerville. You can walk the old streets of town to the shops and restaurants and the Gold Bug Mine is just minutes away. In Placerville, The Fleming Jones Homestead Bed & Breakfast Inn is a charming historic 1883 homestead and working horse ranch on 11 acres nestled between art and antique filled Placerville and famous Apple Hill. The main farmhouse has three rooms while the bunk house (where the cowboys used to stay) has two rooms and a spacious deck overlooking the horse pastures. And this ranch has Wi-Fi!! They provide a great farm breakfast. You can find other hotels/motels/inns in the gold country at this link. An apple a day keeps the Dr away: new studies promote the positive helth effects of apples. “Liz Applegate, a Ph.D. nutritionist at the University of California, Davis, is promoting the apple as vigorously as she does all year. “It’s an affordable family day,” she said. Certainly cheaper than a trip to Disneyland or Great America. People – mostly from Nevada – are even showing up for whole weekends, she said.